Apple’s redesigned iPad Pro goes on sale Wednesday, but the first reviews of the new tablet were published on Monday. One of the biggest changes to the new iPad Pro is the switch from a Lightning port to a USB-C port for all of your power needs. Unfortunately, reviewers are noting that the iPad’s new USB-C port won’t work with any external storage. Apple’s brilliant new iPad Pro is going on sale this Wednesday, and the first reviews just went live. Critics are praising the new iPad Pro for its design, its display, its improved Apple Pencil design, and more. But reviewers have also caught one particular hiccup with the new iPad: though it features a USB-C port instead of a Lightning port for the first time, that new connector isn’t compatible with external storage. Patel notes the USB-C port works with „most normal stuff“ like card readers, Ethernet ports, HDMI, and even 5K external displays. But no dice on storage. 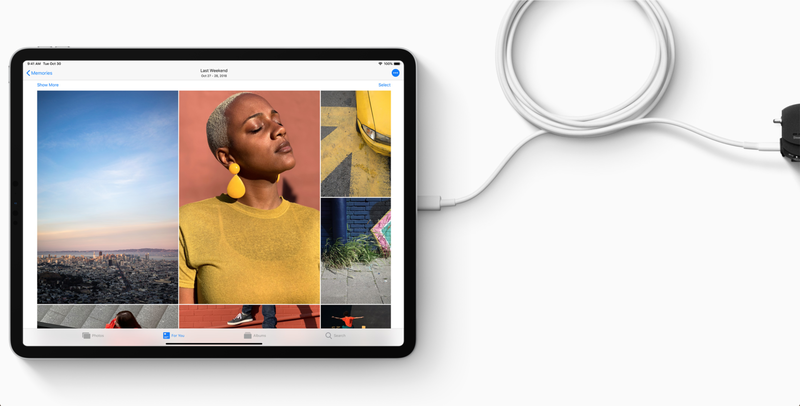 Unlike Apple’s Lightning connector, or even older forms of USB, the new USB-C port in the iPad Pro allows for the transfer of both power and data. So technically, it should be able to transfer storage to a secondary device. 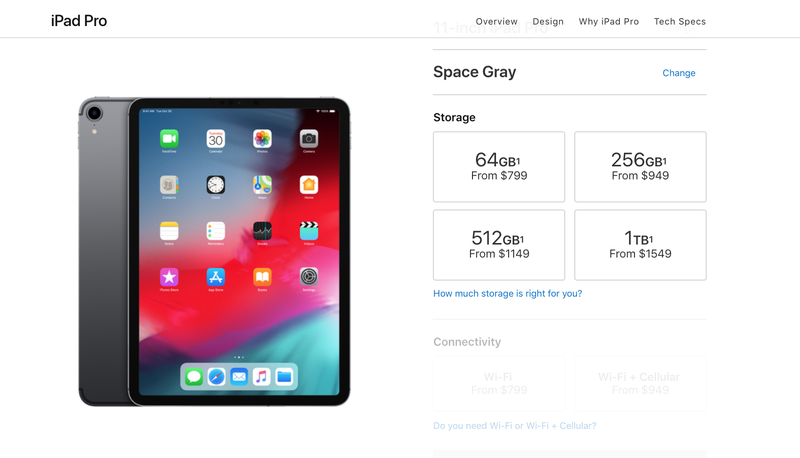 But Apple doesn’t seem to want that — most likely because customers buy the new iPads with specific storage options, ranging from $799 for 64 GB all the way up to $1,549 for 1 terabyte. Apple probably doesn’t want people buying the cheapest storage option and augmenting that with a cheap external storage device; it would lose out on a lot of money. Without any external storage options for the iPad Pro, your best bet is to either buy plenty of built-in storage, or buy lots of iCloud storage.